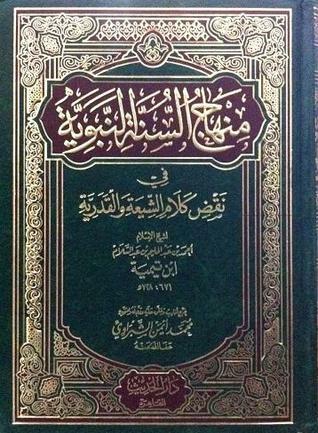 Video translations of the epic “Minhaj Al-Sunnah” by Ibn Taymiyyah in Farsi! For some time now the well established Persian Sunni satellite channel ‘Kalame TV’ (run by ethnic Persian Sunnis of South Iran, of course from abroad Iran, Sunnis in Iran aren’t even allowed to run a radio station) has aired readings of the translation of the notorious ‘Minhaj Al-Sunnah’ book of Shaykh Al-Islam Abul-Abbas Ibn Taymiyyah. The book is a classic, originally a refutation against ‘Allamah’ Hilli the Rafidi of Iraq, who by Allah is as dumb as their modern Ayatullats when it comes to ‘refuting Sunnism’. The irony is that this book has been never translated into Persian except recently in this very century, roughly twenty years ago by an ex-Shia Ayatullah named Abul-Fadhl Al-Borqei from Qom/Iran who was an opponent of Khomeini and Shiism during the revolution (! ), they tried to assassinate him many times, he even write a whole book I refutation of the pillars of Shiism such as grave worship, the belief of Wilayah and a whole book in refutation of Al-Kafi (he named that book ‘The idol breaker ie breaking Al-Kafi and Shiism). 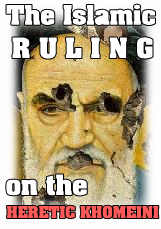 These are hidden (to most Shias and even Sunnis) gems and facts that due to the poor support of Sunni countries haven’t been exposed to he Muslim masses, however at least they are being aired 24/h on air and the Iranian regime has little to no chance to block satellite TV channels in our modern world so the axe that will break the Rafidi idol has entered the homes of Tehran, Shiraz, Isfahan etc. wal-Hamdulillah. This entry was posted in Miscellaneous, Sunni Persia's service to Islam. Bookmark the permalink.